I love smoothies for breakfast. It’s a great way to kick start your day… all these smoothies are vegan, easy to make and packed with goodness! 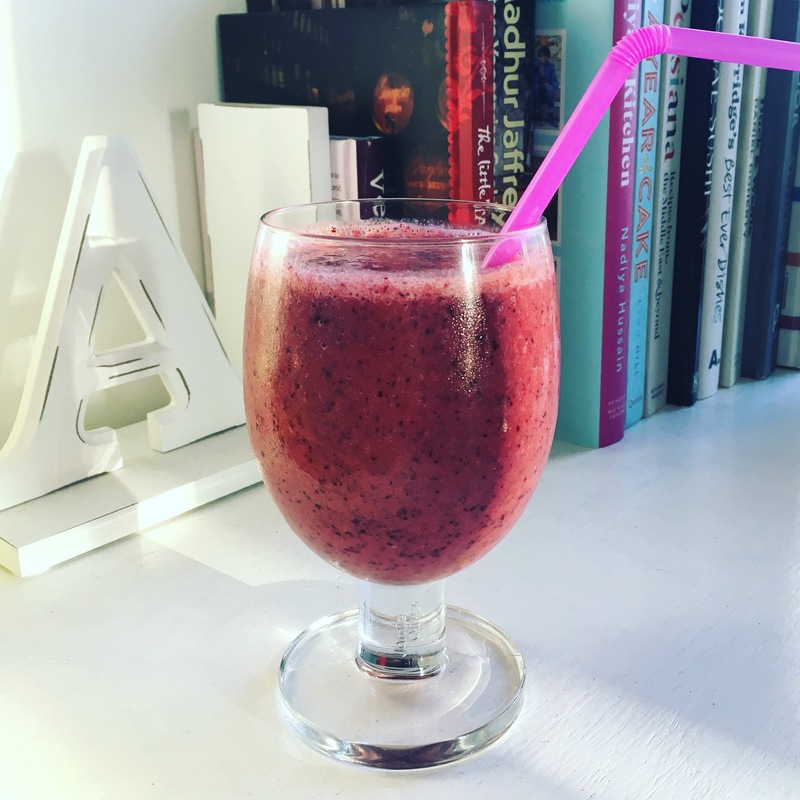 I tend to use frozen fruit, so I can make these everyday without worrying about keeping fruit in… frozen fruit also makes the smoothie thicker. A good handful of frozen mango (or assorted frozen tropical fruits), 1 banana, a glug coconut drinking milk, 1 tablespoon of coconut flour. Blend together and enjoy! 1 pear (peeled), a handful of spinach, about 1/5th of a cucumber, fresh ginger (you can also use dried), let down with a little water.. blitz and feel totally refreshed!